Our Play Program is dedicated to engaging groups of all abilities and backgrounds and providing them with the experience of sport. Our community-based programs have been developed to get people active, healthy and having fun! The parents of the students that are participating in this program are for ever thankful that they have the opportunity for their children to participate in a program like this at such low cost so it allows families from all socio economic backgrounds to be able to afford it and gain the benefits of physical activity for their children. Thank you so much for connecting with the community. This was such a wonderful opportunity for our participants. Everyone had fun and we are so grateful! We have seen many benefits to the program with clients not only learning a new skill but also gaining confidence to try something new and challenge themselves. 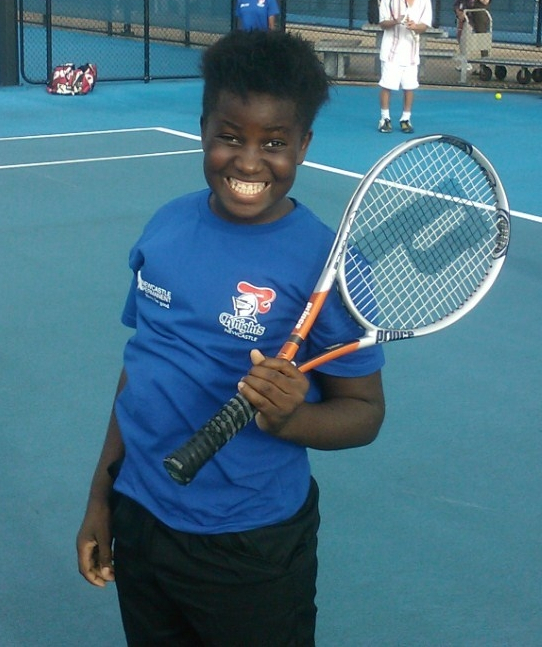 Some clients who have not engaged in other sporting or recreational programs have enjoyed tennis and the welcoming environment that Return Serve provides. Our clients have also been able to make friends and connections across cultures, which has been wonderful to see. Our programs are provided for people of all ages, abilities and backgrounds. We particularly focus on groups that may face social or financial barriers to participation in sport. Our weekly programs are provided to community groups, groups from non-profit organizations and schools. These groups can approach us to design and deliver a program that meets their needs. If you are a new group, please fill out our Expression of Interest and we can work with you to tailor a program to suit you groups needs. For individuals in the community who would like to come and have a go at one of our programs and experience what Return Serve is all about, you can attend one of our Come and Try sessions. Details of the next Come and Try session to come. 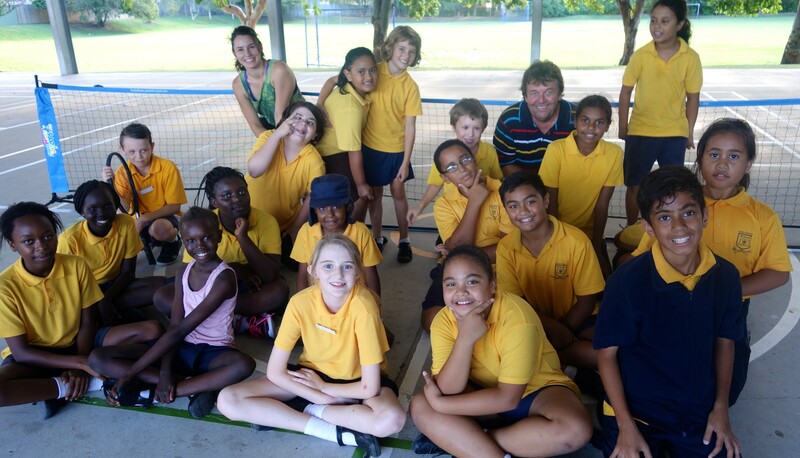 Our Play programs are provided on a weekly basis for 8 weeks during school term time. Days and times can be flexible to meet the needs of the group we are working with. Our B-Active School Holiday program is a program dedicated to getting children aged 5-12 active during their school holidays. Learn more about this program here. Our play program ranges in cost from $2-$4 per player per session depending on the group and length of session. We are focused on getting people active, healthy and having fun! We don’t provide intensive sports coaching, but rather a taster to a sport – a chance to try something new, build your skills and have a great time doing it. We hope we can then create pathways for our players to keep playing sport independently or through community clubs. As well as getting people active and healthy, we also use our programs as a avenue to build skills and confidence that benefit our players in all facets of their lives. From building team work and social skills in young children to practicing English with newly arrived refugee and migrant groups, we know sport can create many positive outcomes beyond physical health. We believe the many benefits of sport can only truly be enjoyed when people have the chance to regularly learn and play. Not only does this help build their skills and confidence in the sport they are playing, but it also provides regular opportunities for our players and coaches to get to know one another and build positive and meaningful relationships. With the rising cost of sport, even at a grassroots level, has made it unaffordable for many people children, young people, adults and families. As such, we are dedicated to ensuring our programs now and in the future are provided at a low cost. We know a ‘one size fits all’ method does not work in life or sport, so we work to tailor our program content and delivery to the needs of the group we are working with. Our program comes to life through our model of ‘connecting communities’. We bring together passionate, enthusiastic Volunteer Coaches with local sporting facilities and businesses who donate venue time, equipment and other resources. We believe that bringing the community together in this way leads to personal enrichment for everyone in our program, participants and volunteers alike, and, in the long run, the collective betterment of society.